In the first installment of my new Comanche project, the off-road prowess of my truck was greatly improved with the addition of a 3 Tuff Country suspension lift and 33 BFGoodrich Mud-Terrain T/A tires. The improved ground clearance and traction allow the truck to go places that I previously feared to tread. With this big of a change in tire size regearing was absolutely necessary. 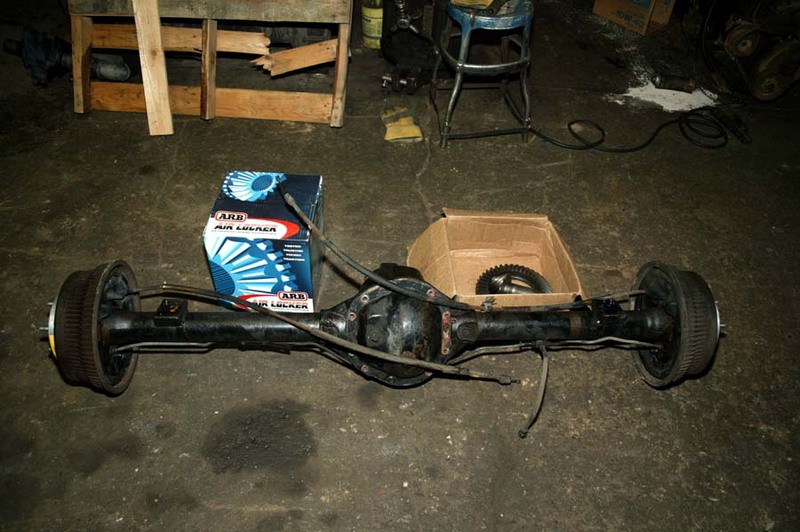 The rear axle was removed from the vehicle to ease installation of the Air Locker. Unfortunately, this improvement in off-highway ability came at the expense of power on the road. This is exactly what I had set out to avoid when beginning this project. Something had to be done in order to return to power to previous levels. My Comanche left the factory in Toledo fitted with 3.08 gears. While these gears were intended to provide good gas mileage (and honestly they didn't but I cannot imagine what else the manufacturer was thinking) they did nothing for the vehicle's crawl ratio or acceleration. 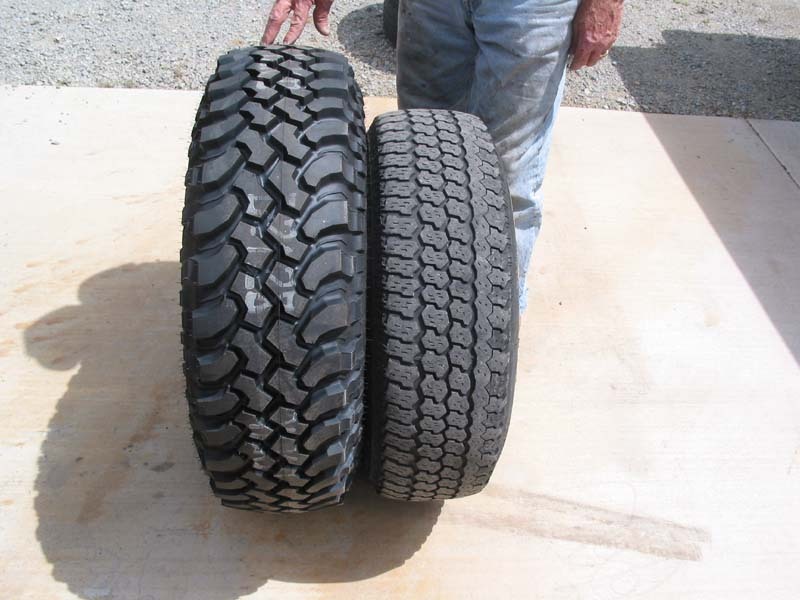 The Comanche labored to turn the previous 30 tires; the new 33 tires were hopeless. The larger diameter, increased weight, and greater rolling resistance all combined to toss a virtual anchor behind my Comanche. At least the solution to this problem was easy to come by: new differential gears. I decided to install 4.10 ratio gears to restore the lost power of the Comanche. While these gears result in a lower ratio than the stock gearing and tire combination, they were chosen for the better crawl ratio off the road and improved performance on road. Fifth gear is actually usable for the first time ever, allowing comfortable RPMs at freeway speeds despite the lower gears. 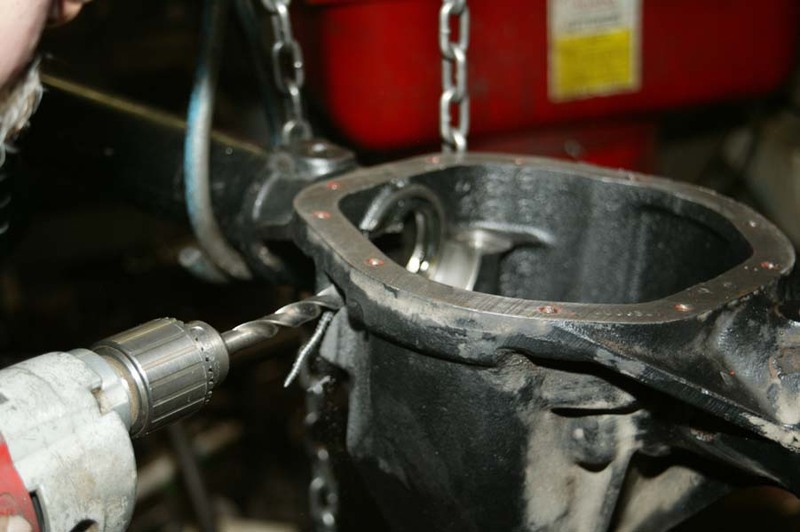 Genuine Spicer gears were used in the front high pinion Dana 30 and rear Dana 44 for proven strength and reliability. 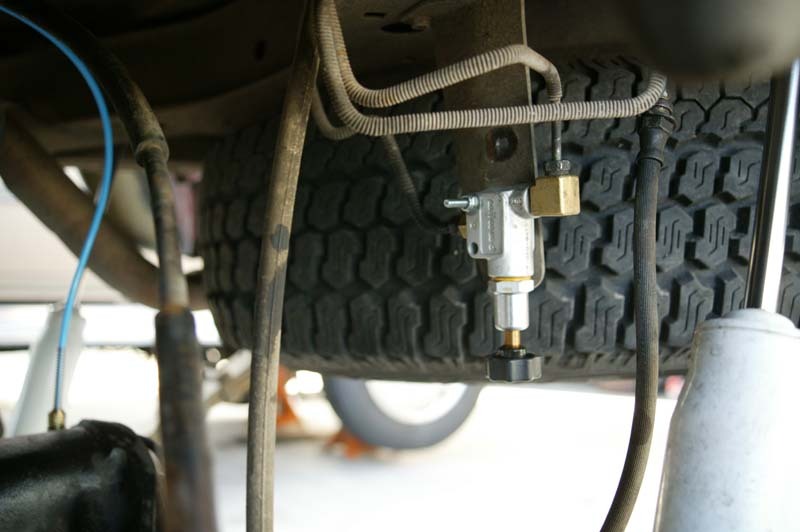 The front gears were sourced from the front of a stock 4 cylinder YJ to save money, while the rear gears were purchased new from 4Wheel Parts Wholesalers. My father and I decided to install the new gears ourselves to save money. 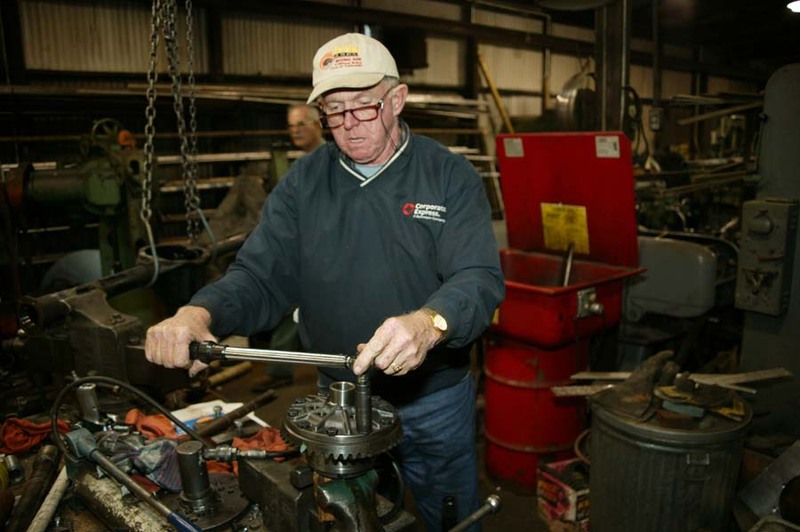 We relied on assistance from our friends at Herboth Machine Shop, who possess the necessary tools and skills to complete the job. 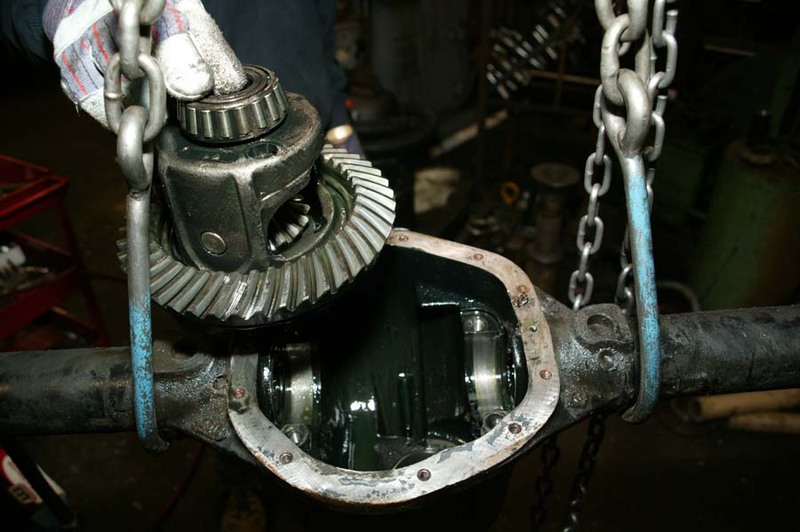 If you do not feel comfortable installing gears, seek out a competent local differential shop. When making such a dramatic change in gearing as I was, it was necessary to change the differential carrier to fit the new ring gear. 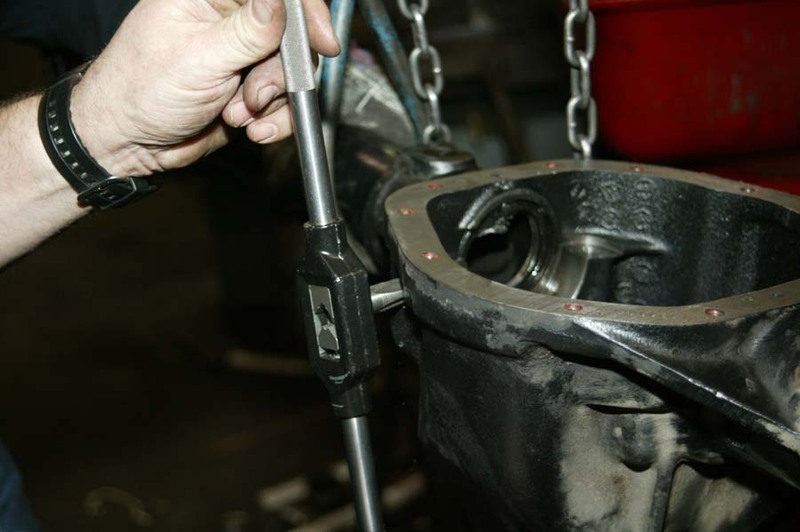 The carrier break for both the front Dana 30 and rear Dana 44 is 3.73 to 4.10. This seemed like the perfect excuse to add a locking differential, though not much excuse was necessary. Since my Comanche sees just as many miles on the street and icy trails as in the dirt and rocks, a selectable locker was mandatory. Although there are more options emerging in this market all of the time, I chose an ARB Air Locker for its strength, reputation, and reliability. An Air Locker was added to the rear differential and the front diff was left open in a concession to my budget. Since I added the ARB air compressor at the same time as the rear locker and can set up my own gears, the cost of adding a front Air Locker in the future is quite reasonable. The compressor was mounted in the only available space under the hood. The toggle switches fit nicely in the dash and were easy to wire. Before I even touched the differentials, I installed the ARB air compressor to power the Air Locker. Although nearly any air source is adequate, ARB's compressor is matched to the locker and all of the wiring and plumbing is simple. In fact the hardest part of mounting the ARB compressor was simply finding a spot where it would fit under the hood! I ended up mounting the compressor to the driver side inner fender, right next the air box. The fitment was snug and that was before I added the pressure relief valve and solenoid for the locker. With the attachments on the compressor, there was no way the stock air box was going back in. 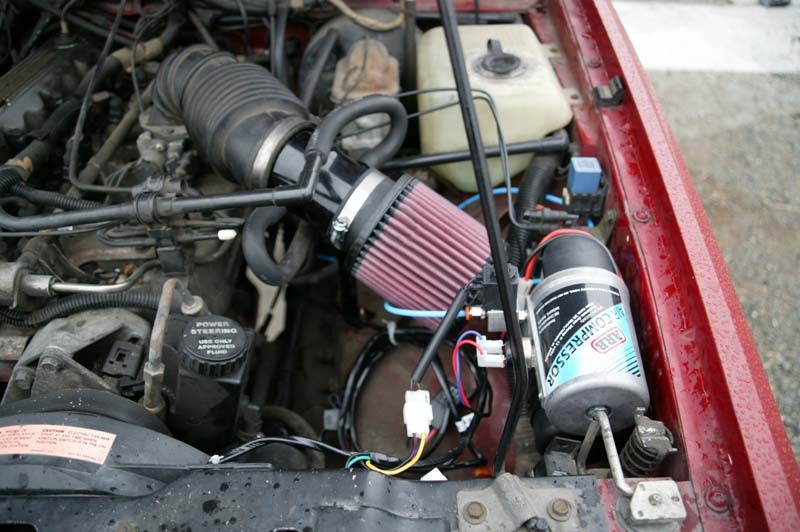 To make more room a K&N cone filter was added to the air intake. Plumbing and wiring the compressor was simple. ARB's directions are clear and include plenty of pictures and diagrams, something I personally find more useful than step-by-step instructions. Only two items were added to the compressor, the pressure relief valve and locker solenoid mentioned above. There is still another port available should I add a front Air Locker in the future. As for the wiring, it was equally easy. The instructions include an excellent wiring diagram, which combined with the pre-terminated harness and color coded wires made the job a snap. The wiring connects to the battery, the compressor, then through the firewall to the switches on the dash, and finally to ignition and dash light wires. 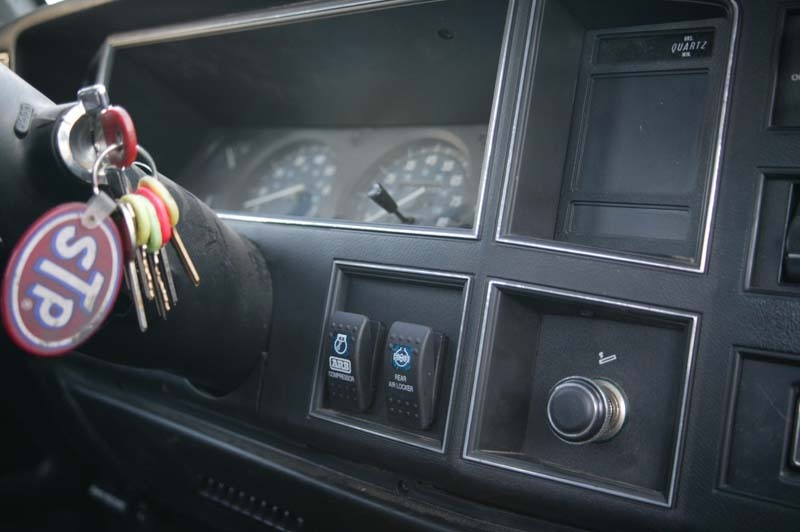 I connected to the cigarette lighter with Scotchloks for the ignition and dash illumination and added the switches to empty rocker panel locations in the dash to the right of the steering wheel. The old carrier and gears were removed from the housing before it was cleaned. The new carrier is much stronger than the stock Trac-Lok. With the air compressor wired, I moved on to the rear axle. To ease installation of the gears and Air Locker, I completely removed the rear axle from the vehicle. By doing so it was much easier to work on the axle, particularly drilling and tapping the bulkhead fitting for the air. 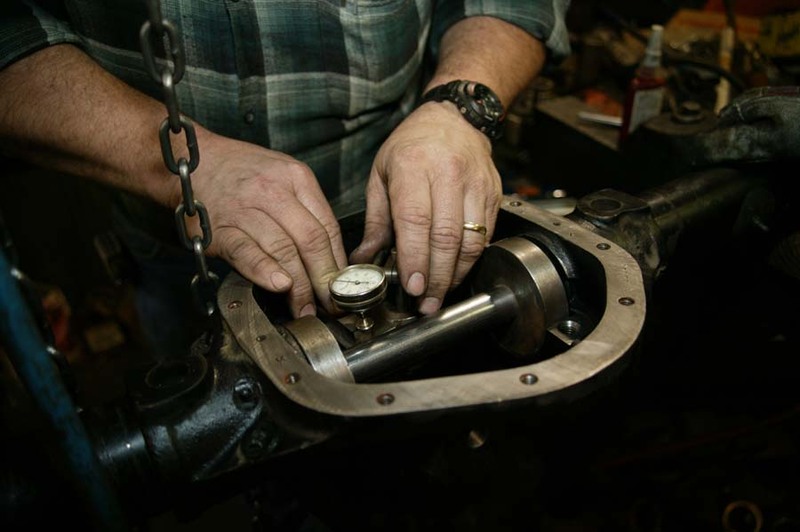 Inspection of the pattern on the stock ring and pinion revealed a perfect pattern after over 200,000 miles. The bearings also appeared good, so they were reused along with the ring gear bolts. It is impossible to cover the details of setting up gears in this article, so I will concentrate on the issues particular to the ARB Air Locker. After the old gears were out of the case, I cleaned the housing thoroughly and drilled and tapped the hole on top of the housing for the air line. The housing was then cleaned again to remove any metal shavings. 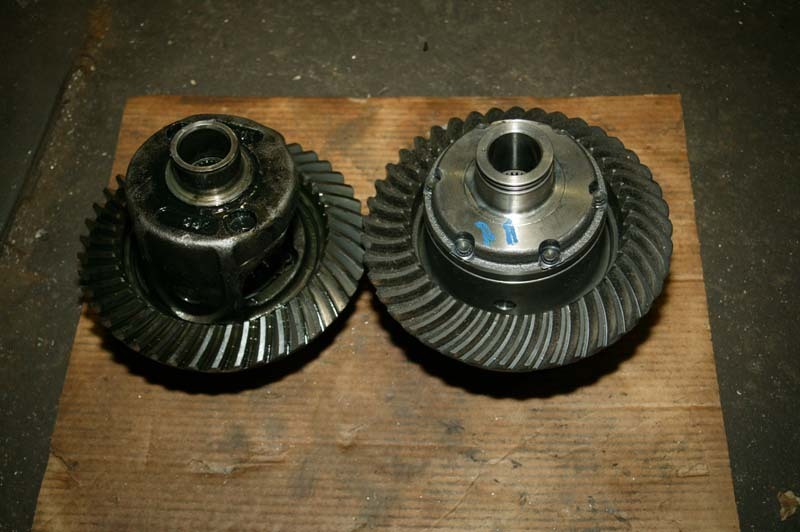 Once the pinion depth and preload were properly set, I turned my attention to installing the differential and ring gear. 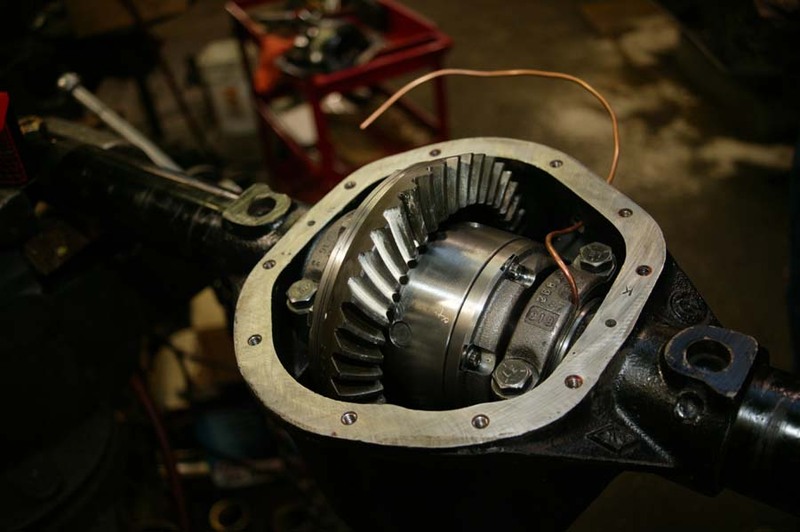 The bearing closest to the ring gear was reused, while ARB includes a thinner gear on the opposite side of the housing to allow room for the air fitting. Once an acceptable pattern was obtained, the differential was removed one final time to allow installation of the o-rings on the carrier. After that the bearing cap was notched to allow clearance for the air line. While ARB suggests using a drill and file to complete this task, I had a mill at my disposal so no file was necessary. The crew at Herboth Machine Shop notched the cap in short order. The bearing caps were torqued to spec and the air line properly routed before the diff cover was reinstalled. Finally the axles and brakes were reinstalled and the axle was put back in the truck with the air line routed from the air compressor to the differential. The housing was drilled and tapped to accept the bulkhead fitting. Unlike the rear, I installed the new gears and carrier in the front axle while it was still in the vehicle. While slightly more difficult, this prevented me from having to unbolt the control arms, coil springs, shocks, brakes, steering, and Posi-Lok from the axle housing. The detailed instructions made installing the Air Locker straightforward. The new proportioning valve was a snap to install. While the rear axle was apart, I noticed that there was very little wear on the brake shoes. Since the rear brake proportioning valve was not adjusted to account for the suspension lift, I determined that it was the culprit. In keeping with the theme of the Comanche project, I purchased a Wilwood adjustable proportioning valve from Summit Racing that bolted in place of the stock unit with some simple brake line adapters. I also replaced the emergency brake cable that had been broken for months, allowing me to leave my trusty wheel chalk at home. Shortly after the new gears and differentials were installed, I took a weekend trip to the desert with some friends. Most of this group is running fullsize trucks with health V8 motors, and the new gearing did a great job of allowing us to keep up on the many grades found in rural Nevada. Although the trails we traversed in our search for ghost towns and mining artifacts were not extreme, the added traction available with the rear ARB Air Locker made loose, uneven hill climbs much easier than in the past. With the differential left unlocked on the pavement, tire wear, gas mileage, and handling are left unaffected. We now have a Comanche that is just as street friendly as stock but with trail capabilities that are greatly improved, allowing us to do everything we want.